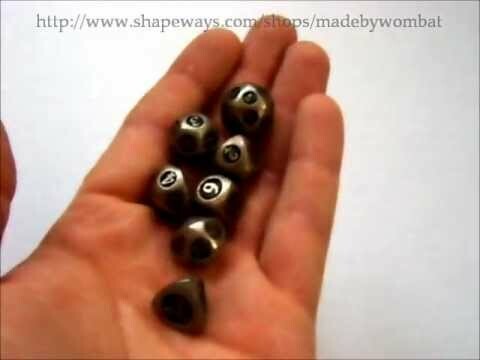 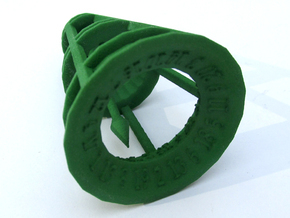 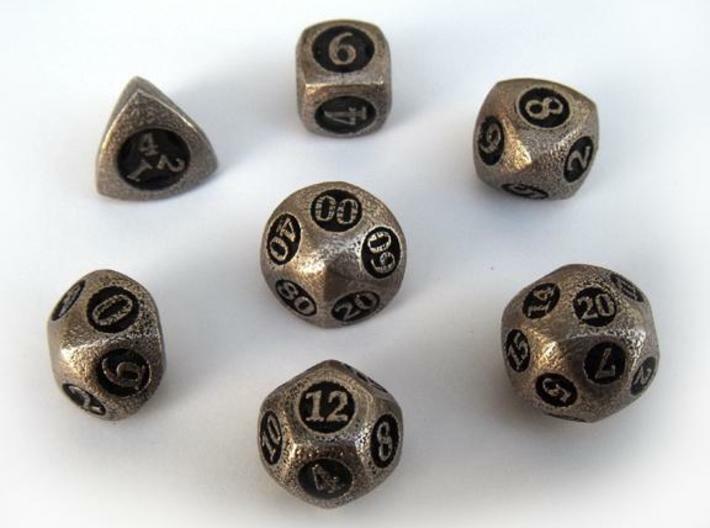 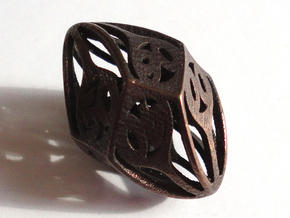 This seven-die set includes a d4, d6, d8, d10, decader d10, d12, and d20. 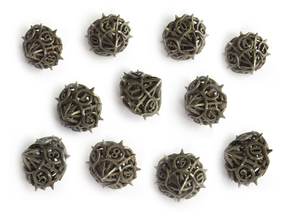 These roll best in stainless steel, but look nice in any material. 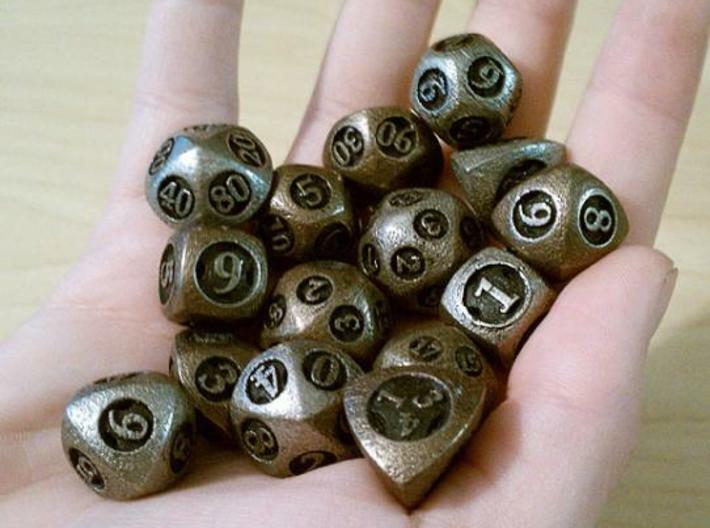 The dice do not arrive inked, but can be inked by painting them with a thin acrylic paint (gesso works well), allowing them to dry, and then buffing them with a rough cloth. 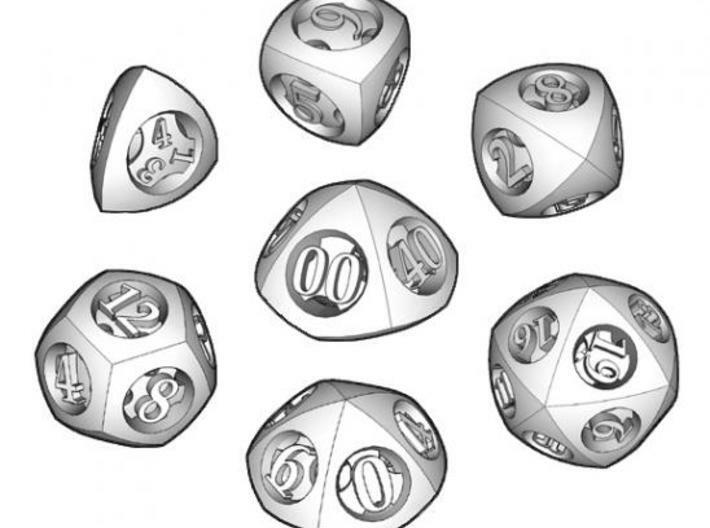 Please note: The d20 of this set is numbered in a nonstandard pattern to distribute the weight of the numerals more evenly and for aesthetic reasons. 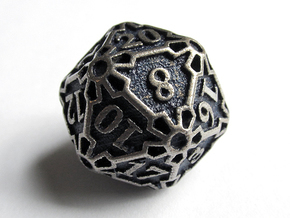 If you are superstitious about opposite sides of your d20 adding up to 21, please be aware that the sides of this d20 don't.